Illustrator templates are available here. 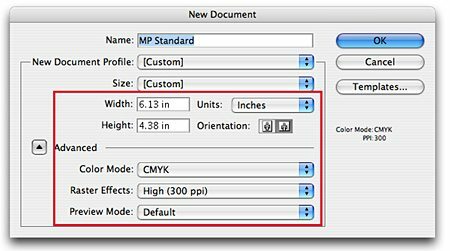 Or if you want to start a new document, go to File -> New -> Document Setup and enter correct product dimensions, CMYK Color Mode and 300 Raster Effects on new documents. Use inches for the Height and Width measurements. 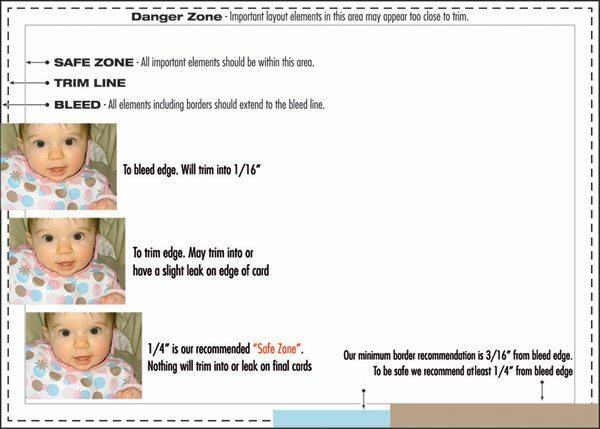 Our Illustrator templates include guidelines for bleed, trim and safe zone. Download here. 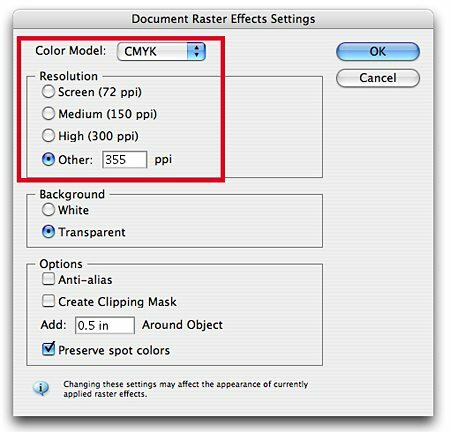 Start your layout using a document in CMYK color space. 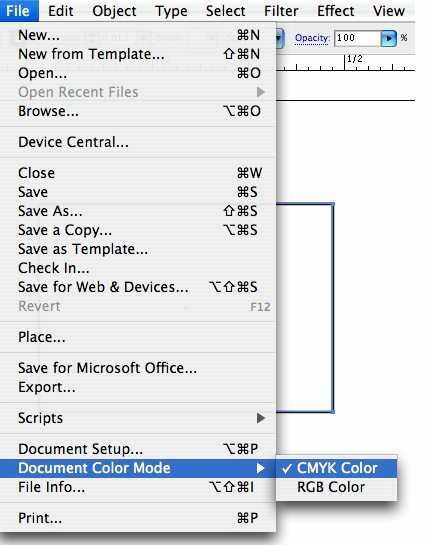 Go to File -> Document Color Mode -> CMYK Color to convert document color space. 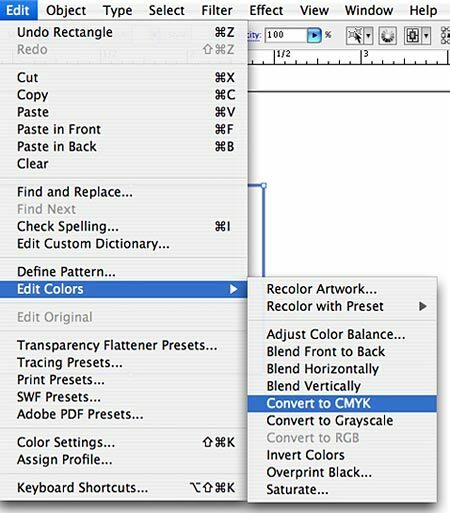 To convert any linked/embedded images or other graphic elements in document to CMYK go to Edit -> Edit Colors -> Convert to CMYK. 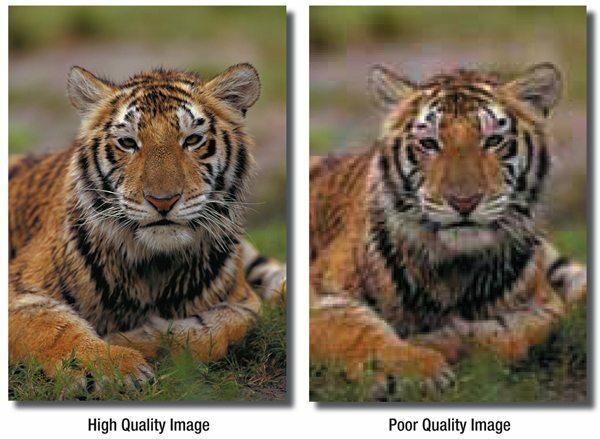 All images should be converted to CMYK, Color Managed and edited in an image editing program like Photoshop before brought into your layouts. 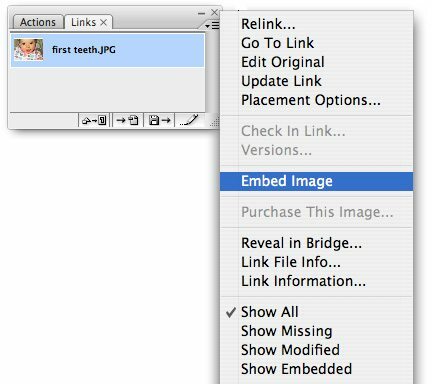 See Photoshop Instructions on our website for more details. 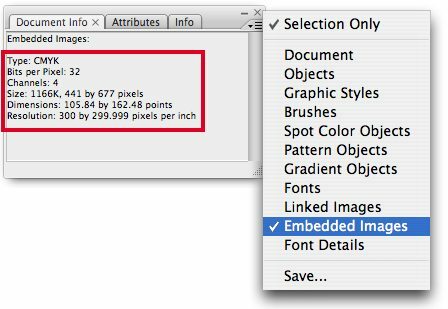 Go to -> Window -> Document Info -> Fly out menu (upper right corner) -> Embedded (or linked) Image and check for image resolution. Please convert all your type to outlines (vector objects) before submitting your order. 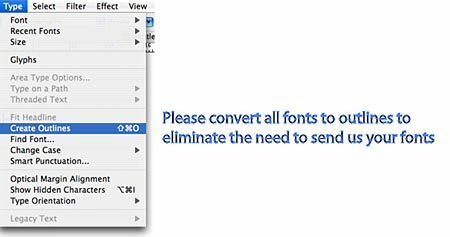 This will eliminate the need to send us your fonts. 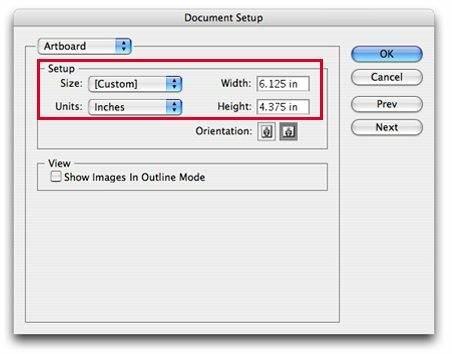 Select All and go to Type -> Create Outlines. Be sure that the Color Model is set to CMYK, Resolution is set to 355 PPI, Background is set to Transparent, and “Anti-Alias” should be enabled. 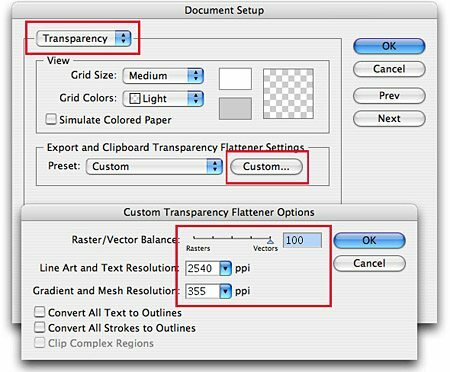 Go to Window -> Attributes and uncheck both Overprint Fill and Overprint Stroke. Caution: Leaving Overprint on may cause elements in your layout to print incorrectly or drop out completely. 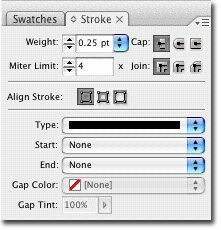 To check a line thickness select the keyline or stroke and go to Window / Stroke (F10). Caution: Be sure to set the line width to .25 points or higher. Strokes any thinner than .25 may not print visible.